The Beverage market is a very competitive. Menu and product innovation is a must for those looking to differentiate and add extra value to retailers and consumers. The Art of Blend has expanded their beverage range with the addition of a new innovative chocolate powder – introducing Decadent Milk Chocolate. The Art of Blend beverage bases offer the ultimate drinking experience, with the creaminess, flavour and mouth feel of any premium beverage and Decadent Milk Chocolate is no different. With a classic rich chocolate blend and the perfect balance of sweet and milky notes, Decadent Milk Chocolate stands out as a chocolate beverage powder and provides the ideal addition to any beverage menu. 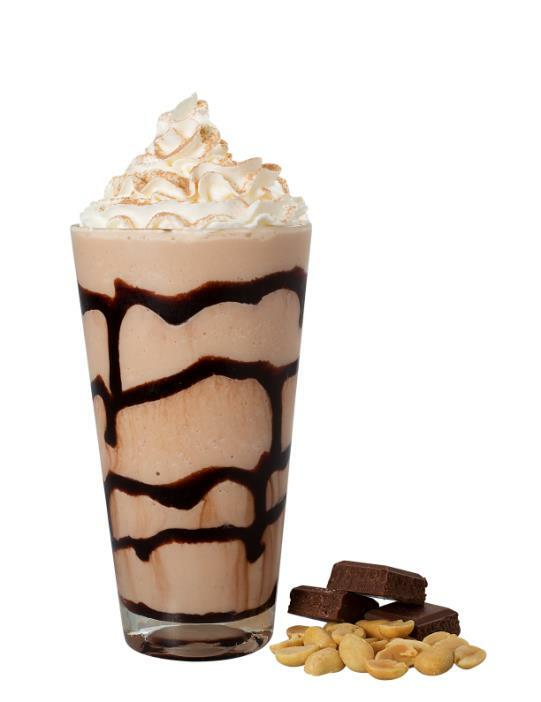 The full, rich milk chocolate flavour creates a smooth and gourmet beverage is also extremely versatile with the options of being able to be served hot, cold or icy. The Art of Blend was strictly created so each beverage can ‘design-to-excite’ customers by adding popular toppings, flavouring syrups and fruits. It’s about offering a range of beverages and flavours to excite and entice customers. Decadent Milk Chocolate is one of 8 beverage powders from the Art of Blend, each cr eated using the finest ingredients around the world from Forastero cocoa to Arabica coffee and a secret blend of spices, creating beverages that are a full flagrant of flavour. The rich milk chocolate flavour of Decadent Milk Chocolate joins a diverse range of flavours from Aromatic Spiced Chai to Exquisite White Chocolate and everything in between. With a market being as saturated as the beverage market, it is important for any beverage menu to have a range of offerings available to their customers. 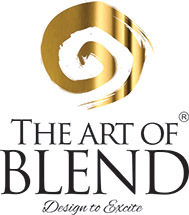 The Art of Blend has specifically created their beverage powders to be all about versatility especially in the way each is served. Each beverage powder can be served a number of ways to encourage beverage vendors to add more variations to their beverage menu. 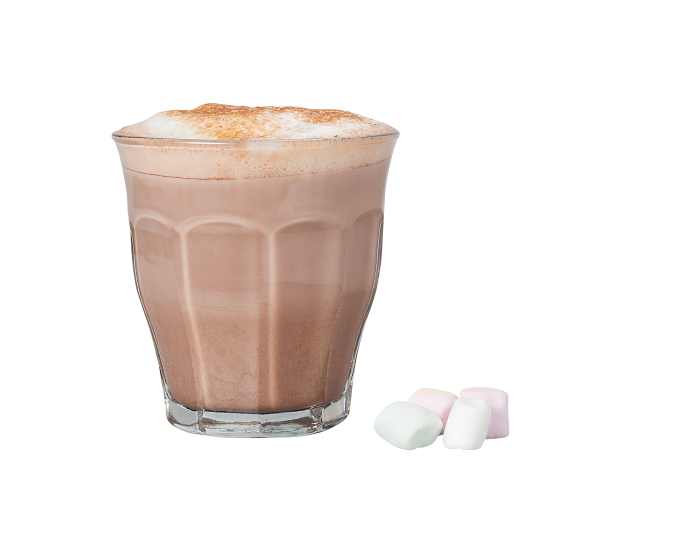 Decadent Milk Chocolate joins the Premium Mocha Latte beverage powder in its serving versatility – hot, cold or icy. Making these beverages powders a quick, easy and profitable beverage base. Fill cup with ice cubes, add ¾ cup of milk and add to blender. Add 2 scoops (80g) pf Decadent Milk Chocolate beverage powder and 1tbsp. of peanut butter, blend on high speed for 30seconds* or until smooth. Pour into serving glass and top with Whipped cream, chocolate drizzle and crushed peanuts. *Blender times may vary depending on blender type used. Fill cup with ice cubes, add ¾ cup milk and pour into blender. 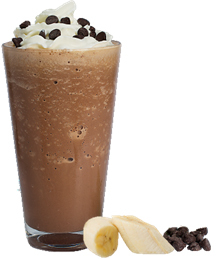 Add 2 scoops (80g) Decadent Milk Chocolate beverage powder and one small banana then blend on high speed for 30seconds* or until smooth. Pour into serving glass and top with whipped cream and chocolate pieces. *Blender times may vary depending on blender used.